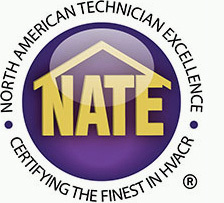 Many families never even think about upgrading or servicing their HVAC system until it breaks. While it might seem like your home’s air conditioner is doing its job, sticking with an old and inefficient unit can cost you in the long run and lead to problems at the worst possible time. Take a look at these three compelling reasons you should consider upgrading your AC at the start of this year. Upgrading your air conditioner is not going to double the value of your home, but it can have a relatively large return on investment depending on the style that you choose. Anyone that is hoping to sell their home in the next few years will be able to use a high-efficiency air conditioner as a key selling point for any buyers that know just how nice it is to escape the Florida heat in a cool and relaxing home. 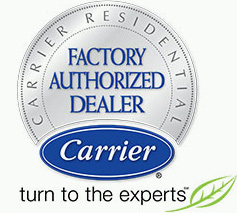 Outdated air conditioning systems are notoriously finicky and difficult to control. As these older appliances begin to go out, many homeowners will notice warm spots in their home or long periods of heat followed by frigid blasts of cool air. A modern AC will give you unprecedented control over the temperature of every single room in your home. One of the most compelling reasons to upgrade your air conditioner is to cut back on growing energy bills. In the average home, the air conditioner consumes over 40 percent of all the energy that is used during the summer. While maintaining an older system might delay the inevitable, most families will notice an immediate drop in their energy bills with a high-efficiency system. 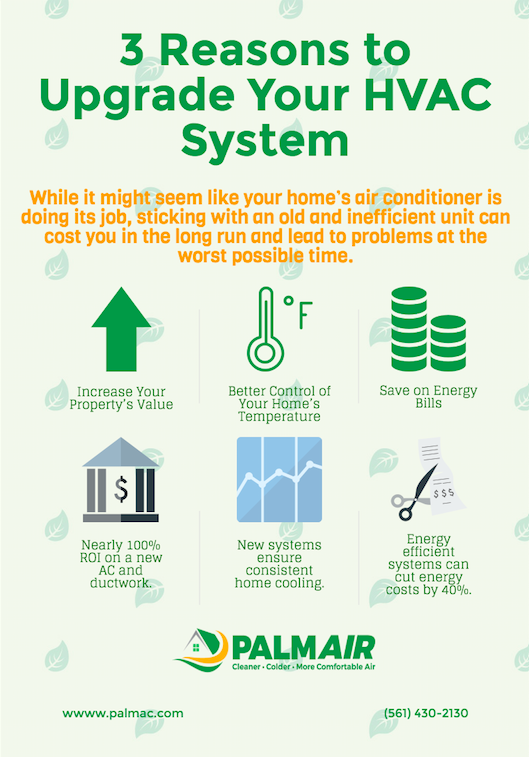 If you are unsure of where to start the process of upgrading your home’s heating or cooling systems, feel free to contact Palm Air today to speak with one of your experienced and friendly technicians.